Tired of having to wade away in to the lake to access your flipped Tunnel Hull? If that's the case the H-King aquatic Hydrotek with its self-righting capability is the motorboat for you personally! 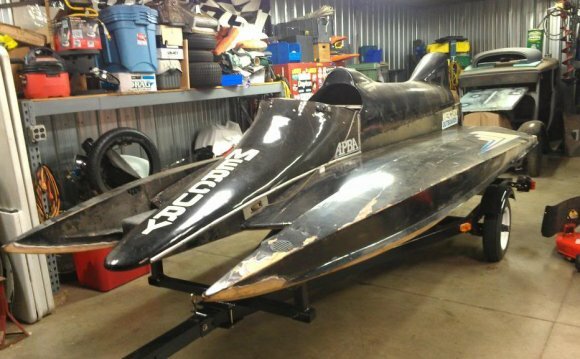 The H-King Marine Hydrotek ARR and RTR Lite variation Tunnel Hull is an almost scale replica of the awesome competitive F1 Tunnel Hull racing boats seen throughout the world. Water-cooled ESC and motor, scale like appearance of the lustrous paint plan and expertly used decals combined with boats self-righting capability and rates of +55km/h ready this little jewel besides any one of its competitors. Check the specifications! The H-King aquatic Hydrotek F1 boat features an intelligent hull design for self-righting. Whenever vessel inadvertently flips during high speed working, don’t stress, due to the fact left hull sponson features in incorporated flooding chamber that can help in the self-righting of the watercraft. Once the sponson is overloaded, pull the throttle trigger to maximum on your own transmitter in a quick explosion, the motorboat will automatically self-right and carry on racing. The flooded self-righting sponson will drain in the initial few seconds of procedure from hole of left-rear hull and its company as always.